Like all YMCAs, Hiroshima YMCA offers various activities (cultural, educative and sportive), and is very involved in the local community. The motto of YMCA (“Spirit, Mind, Body”) is always emphasized; it is about fostering the development of youth intellectually, spiritually and physically. For those who wish to live in Hiroshima, Hiroshima YMCA is also the ideal place to learn Japanese. You will be placed in course according to your goals and your skills. For the student visa holders, there are 2 sessions: April (1-year or 2-year program) and October (18 month-program). The school requires a guarantor residing in Hiroshima. Contact us to know more. This is for those who want to learn Japanese for 3 months or less (“temporary stays”). Or for those who want to come with a Working Holiday visa, which gives you the opportunity to study more than 3 months. Many activities (out of the school premises) are offered to the students. 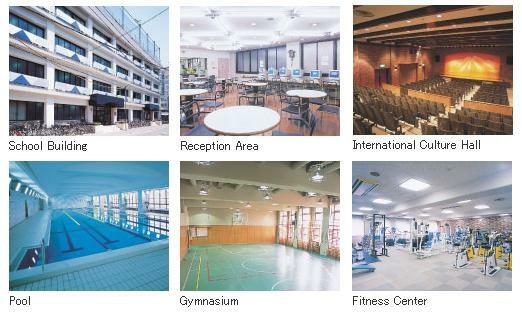 Also, as a YMCA the school has a lot of equipment (arena, swimming pool …) for its students to enjoy on a regular basis. The school proposes students with student visas to stay at a dormitory near the school. Feel free to contact us if you need our assistance to find another solution. Here is an estimate to study at Hiroshima YMCA for 1 year, including accommodations (individual room in a share-house). Feel free to contact us if you need further information.